Eden Valley Holiday Park es un camping en Lostwithiel, Cornualles, situado del río/arroyo. El camping tiene plazas con sombra, sin sombra y parcelas con algo de sombra. Cabe alquilar bungalós. El camping dispone de parque de recreo. Este inspector visita cada año al Eden Valley Holiday Park y lo inspecciona considerando más de 200 servicios y otros aspectos importantes. El inspector es un trabajador de ACSI y no trabaja para el camping. This is a lovely, well laid out site in peaceful, rolling countryside. Good sized, level pitches with several water taps. Owned by a really friendly and helpful family. Lots of wildlife around and a stream running through. Great access to lots of Cornwall. Visited again and found the site as good as last year. All amenities kept very clean and tidy. Staff friendly and helpful. An excellent base for travelling around Cornwall either by car or train. Highly recommended for those who want a quiet site. Beautiful and peaceful park-like site with very friendly and helpful staff. We had an excellent spacious pitch. The new toilet block is excellent - one of the best we've seen in the UK. We only intended staying for one night but stayed for 5 nights. Very handy site for attractions in the area and also handy for the railway station. Very well maintained and friendly site. Lovely surroundings and very quiet at night. Level pitches with gravel hard standing and stream running through site. Dutch couple spent 9 nights. Lovely campsite. High quality! Most of all lovely people, Darren gave us a warm welcome and helped us at late arrival to our pitch. Jeff the Scrubber is in charge of cleaning and does a great job. Great sense of humor too. This is a very nice, quiet campsite. We were met on arrival by the owner who is also the groundsman and everything else. He was always about and keen to help or advise. Unfortunately due to a very wet year our pitch was a little water logged and got worse as we had more rain. I am in no way blaming the site for this, it was just a bad year and I understand that better drainage is being carried out for next season. There are 2 toilet blocks which are not massive but we never had to queue either and both blocks are immaculate. There is no shop on site but gas is available and the village is only a mile away which has shops, banks etc. We had a lovely stay and would like to say thanks to everyone there and also to ACSI as I always choose my campisite from here. ¿Desea reservar u obtener más información sobre su Eden Valley Holiday Park? Puede hacerlo mediante los datos siguientes. A38 Plymouth-Bodmin, en Dobwalls la A390 dir. St. Austell. El camping está entre Lostwithiel y St. Blazey, 2 km sudoeste de Lostwithiel y 3 km noreste de St. Blazey. 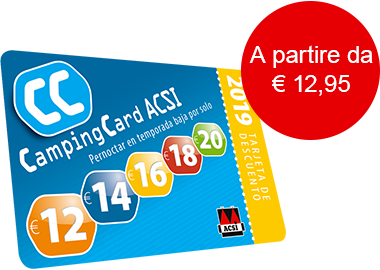 ACSI Eurocampings reenvía su solicitud de información al "Eden Valley Holiday Park".